Getting your car key cut requires proper equipment that is specifically meant for key cutting. Our mobile team will assess your situation and resolve the problem you are facing with your laser cut car key using our specialized laser key cutting machine. We offer replacement key cutting services for all foreign and domestic vehicles. Laser cut keys are more accurate and have higher tolerances than regular keys. This makes it harder to pick the lock for a laser cut key. Another feature of a laser cut key is additional security due to the transponder chips in the key. The transponder chip has to be within the vicinity of the car ignition switch when the key is inserted; otherwise, the car will not start. Getting your car key cut requires proper equipment that is specifically meant for key cutting. Our mobile team will assess your situation and resolve the problem you are facing with your laser cut car key using our specialized laser key cutting machine. We will even come to your location, so that you don’t have to spend money on a towing service. We also have the skills to program the key for you so you can avoid the dealership, as they tend to charge exorbitant prices. We offer a range of lock smith services for your foreign and domestic vehicles. 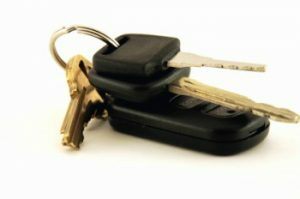 Our licensed, bonded and insured are able to provide car key replacement services, lock out services, and even laser cut keys. Some of our competitors do not offer laser cut keys. Laser cut auto keys have been around for some time now; the name can be misleading because these particular keys are not created by using a laser. The name originated from laser accuracy of a machine that is called a side winder. The machine creates key cuts on a metal square key with great exactness. In years past, making laser cut keys was very costly, however our technicians now offers economical laser key cutting services for any make or model vehicle. Our expert technicians are highly qualified and able to provide you with laser cut keys services in a timely manner. So instead of wasting time searching for a complete locksmith service company that offer laser cut keys, be sure to contact Killeen Locksmith Pros. We also offer services if you need for us to duplicate your traditional car keys. Our technicians are able to make an exact copy of your keys so that you will not have to worry about not being able to get into your vehicle. Some locksmiths do not make good duplicate keys, which leads to keys not working properly in the lock. You do not have to worry about these situations when it comes to us. We are precise, and guarantee your keys to work. Our professionals are exceptionally prepared to cut and program a wide range of exceedingly advanced keys such as transponder keys, all from our portable units, which permits you to stay away from expensive towing costs and dealership key cutting fees. Our services also are able to assist you if you are ever in need of ignition repair or replacement. We are able to come to your location to address any of your ignition repair/replacement needs. Our highly skilled technicians have the knowledge to service your ignition in a timely manner. The need for a locksmith company that offers complete locksmith services does not come around often. But when the need arises it is important to know of a reliable and dependable locksmith that offers services in Killeen TX and surrounding areas. If you find yourself in a bind that requires locksmith services, be sure to reach out to Killeen Locksmith Pros. We are one of the most trusted locksmiths in the area and will be happy to assist you. Our automotive locksmith company have been able to be the best in the area because we have 5+ years experience. Each of our locksmiths has been educated on up to date lock smith techniques and equipment. For our customers, this means that we will be able to assist you with your locksmith needs in a timely manner. Also, to make sure that our customers are not stranded on the side of the road for a very long time, we provide a 30 minute or less response time. If you call us in need of a locksmith technician then we guarantee that one of our mobile locksmiths will be able get to your location in 30 minutes or less. Having this type of response time can help to guarantee that your need for a locksmith does not ruin your day. The quicker we are able to come to your rescue, the quicker you will be able to continue with your busy day. In addition to offering quick response times, we also provide customers with up front pricing. This may seem like something small but this courtesy is very beneficial for our customers. Some locksmith companies try to cheat their customers. These dishonest companies overwhelm their clients with hidden fees and excess charges. This does not happen with us. Our up front pricing is the amount that you will have to pay for the services you requested. There will be no additional charges added on. We understand that money does not grow on trees and therefore we do not attempt to cheat our customers. For increased satisfaction, our expect technicians offer 24/7 locksmith service. This helps to give customers a piece of mind to know that our licensed bonded and insured locksmiths are there whenever they are needed. Whether you are find yourself locked out of your vehicle at midnight or at 8 pm, our fast and friendly technicians will be happy to come to your aid. Our 24/7 locksmith service is also available 365 days a year, so whenever you need us we will be there. Laser Cut Keys http://killeentxlocksmith.com/automotive/laser-cut-keys/ 3.8/5 based upon 29 reviews.